Since young, my 2 brothers and I regularly followed our parents to the Buddhist Temple. 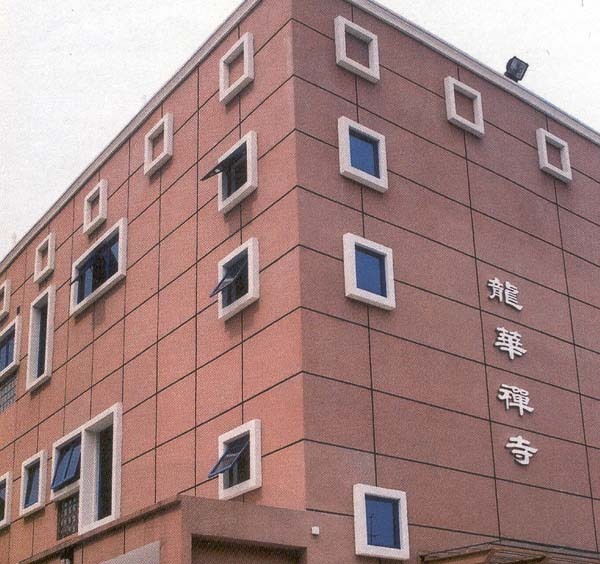 During our school days, we would take a bus all the way to Singapore Buddhist Lodge for chanting and since then, we looked forward to a renunciation life. For my brother, Venerable Sek Meng Kheng; his renunciation was a smooth one. He was less healthy since young, hence many elderly felt that renunciation would help to improve on his health. In my case, I renounced without the knowledge of my family as my mother was not very supportive towards it. Gradually, seeing my sincerity, diligence and perseverance towards Buddhism they respect my decision. That was about 15 years ago. As a venerable, I lead a simple life but I experience a different kind of happiness. I have often asked myself, as a mankind, do we want to leave the world in smile or with regrets? Since renunciation, I strongly believe in impermanence and that I will leave the world without regrets but in smile. As a Buddhist, we use our heart to experience life rather than physical senses. If I were given a chance to start my life afresh, I would still choose to the 'no regrets' Sangha Path. I often tell people that if I had not chosen this renunciation path, I probably would have had a career in an affluence business. I encountered lots of ups and downs in life and have in fact allowed various good opportunities to slip by. Thus, if I had not renounced, I would have been well off and rich in materials possessions. And why did I choose this path? I simply feel renunciation life is what I am looking for; it's a choice of path that I had wanted to take. To me, wealth is an immaterial passing cloud, spiritual and momentous living is more important and I found this in Buddhism, a philosophy of life, aspiring towards eternity of life, the more absolute truth. In the last 15 years as a venerable, I also went through times of happiness and dejections. In difficult times, dejections are a form of test for ourselves; it is through these times that we learn to become stronger and more optimistic that will enable us to endure through these hardships and be better ready to face new challenges. Buddhism is like a bright lamp in darkness, it allows us to embark on our wisdom to have a more positive attitude to face and tackle the problems we encountered inour daily life. 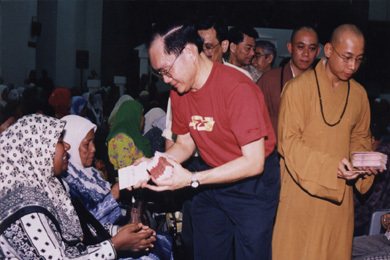 The late Abbot Hwee Kwang did not have any disciple. During a period, lay devotees ran the Monastery, which was not satisfactory. Under these karmic circumstances, I was designated to manage the Monastery. I arrived in 1989 and there were only 2 elderly who were adopted from Ministry of Community Development and Sports. The 3 of us managed the Monastery, relied largely on the devotees' donations for our daily meals. After a short 3 months, I felt sick and while lying in bed, I asked myself if I should continue relying on the devotees' donations or should I be self-reliant and support myself? Which was more practical? Does it mean that a monk could not be self-sufficient? I found the answer and since then, I wholeheartedly put in my best effort to run the Monastery and be self - sufficient; devotees' donations are like bonus and I strongly feel that we should not passively rely on their donations to propagate the teachings of Buddhism. It was a difficult and challenging period but with perseverance and strong support from the management and devotees, it was a great experience. Together with my pursuit for further education, I felt we have acquired the fundamental skills and elements to survive in this society. However the road to learning is a never - ending journey. There are now a few hundreds temples in Singapore. But in 15 to 20 years' time, will their existence still be present in this society? The global landscape is changing and similarly we must change the way we run religious organisations otherwise we face the threat of closing down. Our newly furbished Monastery is a new age looking building. From the exterior, you will not be able to tell that it is a monastery. As a practical person, I chose a building that is less costly to maintain and yet an ideal place for carrying out our religious practices and activities. In addition, we look at new ways to generate revenue so that we can continue to operate and propagate Buddhism for the benefit of society. This is indeed my duty! 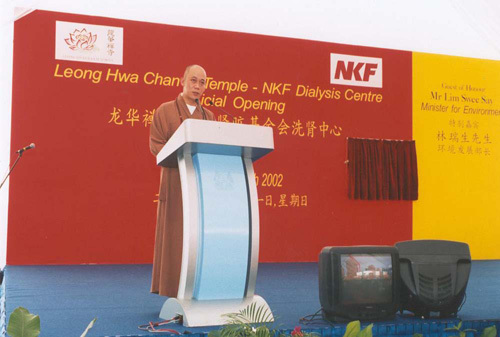 What I like to emphasize is that, we are not commercialising Leong Hwa Monastery as a profit making organisation. We remain as a not - for -profit organisation, but need to remain relevant in society, putting Buddha's teachings into this real world and give people new insights and advice into problems solving. Buddhism is actually more forward-thinking and that many modern management techniques in fact originate from the teachings of Lord Buddha. 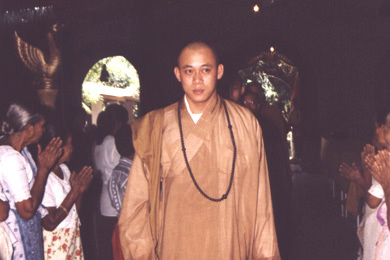 Many people have the misconception that monks only spent their time chanting. Due to the variety and vivacity of the activities that the Monastery has organised, it has attracted many young people to actively participate. We want to make them feel at ease and happy to contribute to society by giving them opportunities to display their talent, freedom to use their discretion in decision-making and take up new challenges. On top of this, we also try to get in touch with the Buddhist Societies in schools and universities, to allow them to be aware of and understand our mission, programmes. 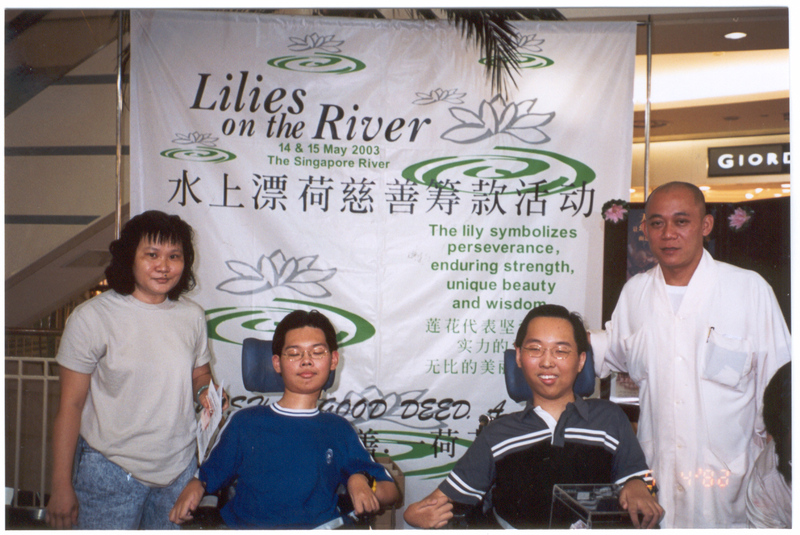 We will do our best to give support and help them in their programmes. With this rapport, they are be more ready to volunteer their service with us. It is because of all these that we have a lot of elite young people involved in our activities. They begin to understand Buddhism better, some even accepted Buddhism as a way of life and also encourage their friends to join us.. It is not enough to simply let the young people go to Monastery to do chanting and prostration, as they will soon lose their interest. It is therefore critical to plan activities that will intrigue them so as to retain their stay with the Monastery. Today, both the young and old are very involved in our community projects. These have given them the opportunity to better understand Buddhism. Hence it is not an unachievable task to reach out to the young so long as we continue to find new ways to challenge them.